Tue., 20 Aug. - Sun., 25 Aug. Thu., 29 Aug. - Wed., 4 Sep. Sat., 24 Aug. - Sun., 1 Sep. Thu., 1 Aug. - Sat., 3 Aug.
Wed., 10 Jul. - Wed., 17 Jul. Wed., 31 Jul. - Sat., 3 Aug. 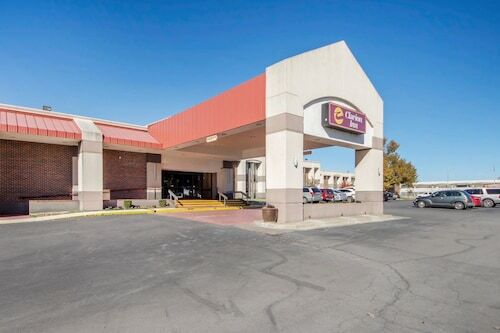 Situated near the airport, this motel is 1.1 mi (1.8 km) from Norvell Park and 2.5 mi (3.9 km) from Tulsa Expo Center. McClure Park and North Yale Park are also within 2 mi (3 km). 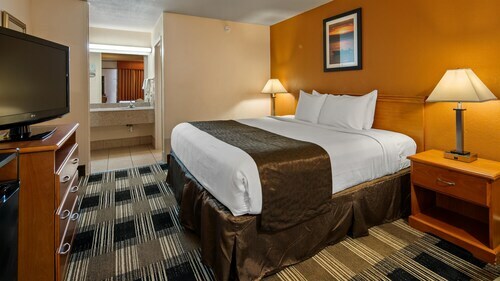 Situated in Tulsa, this hotel is 2 mi (3.3 km) from Tulsa Raceway and 2.5 mi (4 km) from Cowan Park. Tulsa Expo Center and Hard Rock Casino Tulsa are also within 6 mi (10 km). 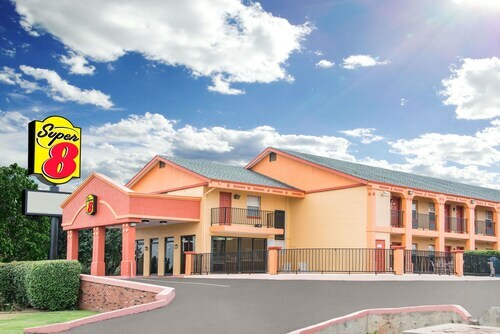 Situated near the airport, this hotel is within 3 mi (5 km) of Tulsa Raceway, Cowan Park, and Norvell Park. Tulsa Expo Center and Hard Rock Casino Tulsa are also within 6 mi (10 km). Question : How long do most people stay in Tulsa on average? Question : What is the cheapest airline flying from Toronto to Tulsa? Answer : Flight prices are hitting as high as $842 over the next three months when flying to TUL from YYZ. Check out Delta Air Lines, as customers have been purchasing tickets at just $335. Question : How much is a plane ticket to Tulsa (TUL) from Toronto (YYZ)? Answer : Prices range from $335 to $842. Booking in advance can usually help you get the cheapest rate. Don't forget, you can save by booking well in advance. Question : What is the cheapest date to fly to Tulsa? Answer : Apr 17th has bookings (as of Apr 15th) for as little as $335. That comes in 26% below the average price for this route. Saving now gives you more moolah in your hand. Answer : You sure can switch your departure or arrival date and you may save by changing it. The lowest-cost day to fly in April is Wednesday. You might think you're missing out leaving a day early, but we think of it as you just adding saving towards your next holiday. Question : Which airline has the least delays from Toronto to Tulsa? Answer : American Airlines will have you to TUL on schedule 0% of the time. Stick to American Airlines and you won't spend more time in airports than you have to. If they are delayed for some reason. Answer : The cheapest day to fly from Toronto to Tulsa is on Wednesday. So, if you would like to save some money on your next business trip look for flights on Wednesday. Flights from Calgary Intl. to Denver Intl. Flights from Macdonald Cartier Intl. to Tampa Intl. Flights from Pearson Intl. to Charleston Intl. Flights from Pearson Intl. to Chhatrapati Shivaji Intl. Flights from Fort McMurray AB to Pearson Intl.